Over the past 6 months, the tablet mode interface for Chrome OS has been on the receiving end of a ton of UI updates. From updates to split-screen to new swipe gestures, the way you navigate a Chromebook in tablet mode is vastly different than it was this time last year. While those changes are awesome and welcome, the standard desktop operation has remained relatively unchanged. Sure the app drawer and system tray got an overhaul for both desktop and tablet mode, but the general way you get around the desktop hasn’t changed in quite some time. And, to be fair, it really doesn’t need a whole lot to continue being great. 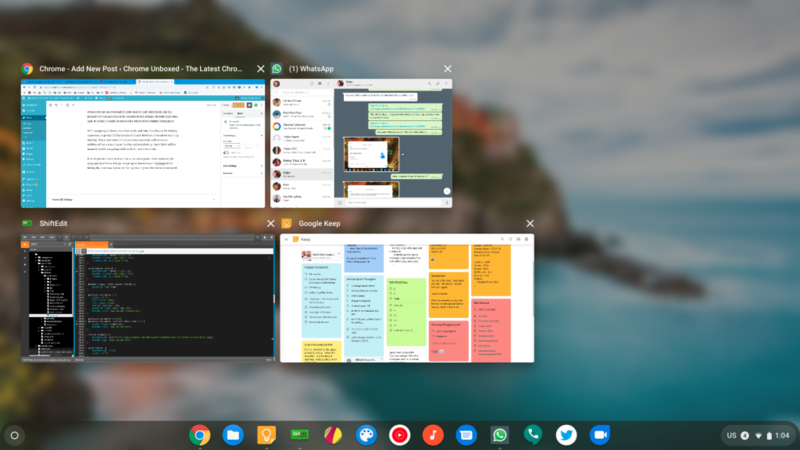 With snapping windows, overview mode and tabs, the Chrome OS desktop experience is pretty full featured and I don’t think too often about anything missing. But, a new commit I came across yesterday references an additional feature coming to the Chromebook desktop that I think will be insanely useful: snapping windows from overview mode. split view: Allow dragging overview window to snap in laptop mode. This is an initial CL to allow dragging overview window to snap to splitview in laptop mode. – In laptop mode, split view mode behaviors are very different with that in tablet mode. Split view mode is only active during an overview session. Once the user has selected two windows to snap to both side of the screen, split view mode is no longer active. Now, if you are not sure what overview mode or snapping are, let me explain. 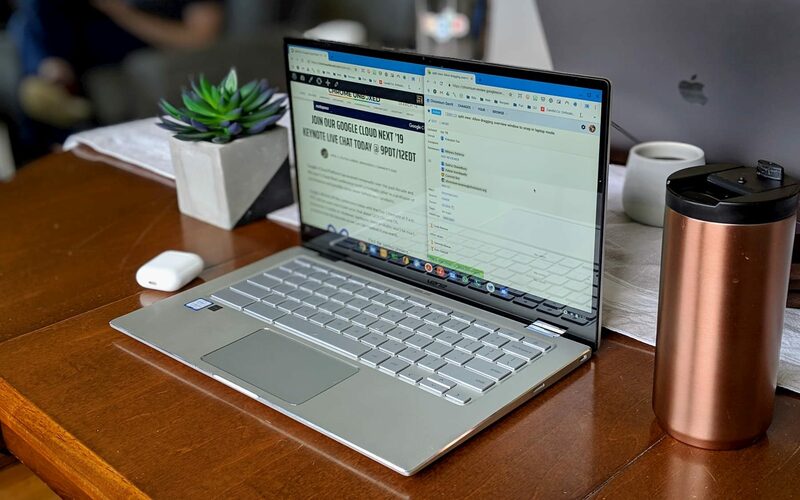 Overview mode can be acheived by either a 3-finger swipe up or down on your trackpad or by hitting the overview button on the top row of your Chromebook keyboard. From this view, you can easily select an open window and bring that window forward and into focus by just clicking it. While this is a great option, there are many times you need to snap a couple windows side-by-side and using overview mode to find those windows is very useful, but clunky. From overview mode, you can click one window and then snap it to the side (do this by holding the maximize window button or by simply dragging the window to either side of the viewport), hit overview again, select another window, and then drag it to the other side. Sure, this works, but it is a bit clumsy when you think about it. The feature that is coming, however, will allow you to snap windows directly from the overview mode. Imagine hitting the overview button, snagging the window you want, and just dragging it to one side of your display. Ideally, this would snap the window and keep the overview mode up in the other half of the screen for you to select your second snapped window. While this behavior has been normal for tablet mode (pictured above), it has just not been available for the desktop mode of Chrome OS. It is a small change to an already-great desktop experience and I know for someone like me, this feature will be insanely helpful for my overall workflow. We’ll keep and eye on this upcoming feature and hope to see it arrive in the next few versions of the OS.